Home Local News WATCH: BASTOS NA SUPPORTER NG DILAWAN INUPAKAN NI ERWIN TULFO ON AIR! 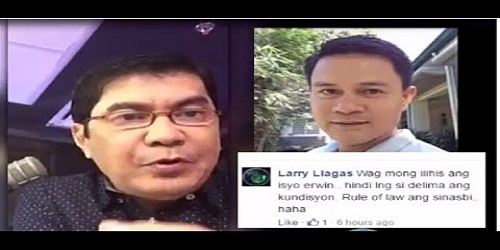 WATCH: BASTOS NA SUPPORTER NG DILAWAN INUPAKAN NI ERWIN TULFO ON AIR! BASTOS NA SUPPORTER NG DILAWAN INUPAKAN NI ERWIN TULFO ON AIR!